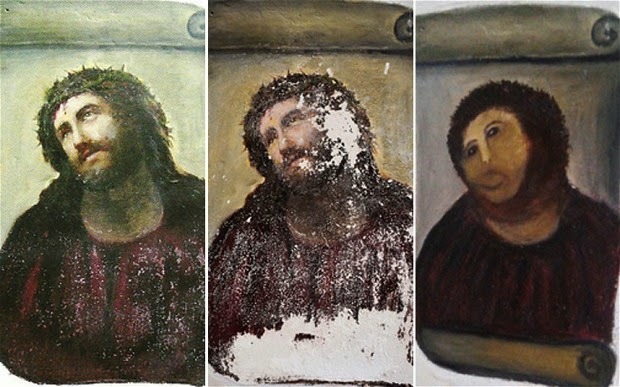 WHICH COUNTRY, might you think, has produced the World’s Worst Restoration – Spain? Italy? The UK? India? France? China? Egypt? The United States? Consider the evidence. THE EVIDENCE IS ABUNDANT and the answer is “All of the above”. There are more contenders than there are countries. No country and no professional stratum is free of recurrent restoration injuries. This evidence can only suggest that injuries are intrinsic to the practice of restoration. 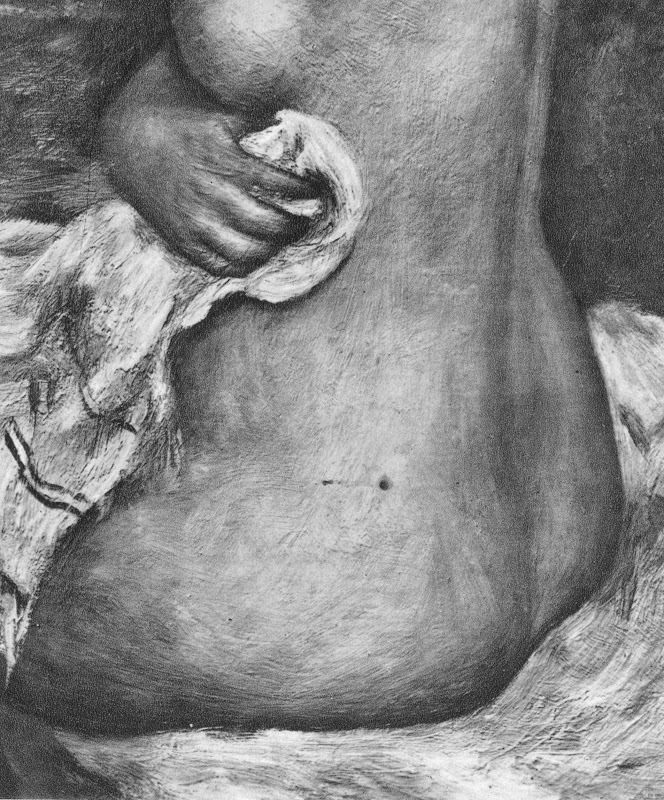 Manifestly, no restorers anywhere can “treat” a Renoir – or a Veronese – without injury (see below). Restoration error is the by-product of a singular un-regulated sphere where the distinct languages of art, aesthetics, technology and “science” are conflated in support of presumptuous would-be improvements to the works of others. The official response to demonstrations of error is not engagement but intensification of promotional hype. This dynamic must be reversed and the necessity of criticism ceded. 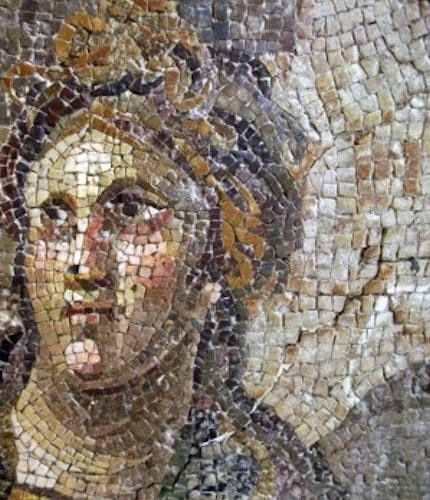 In response to the latest “restoration” blunder (on the classical heritage in Turkey) we revisit our accumulating chamber of horrors and invite nominations to news.artwatchuk@gmail.com for the title of The World’s Worst Restoration. 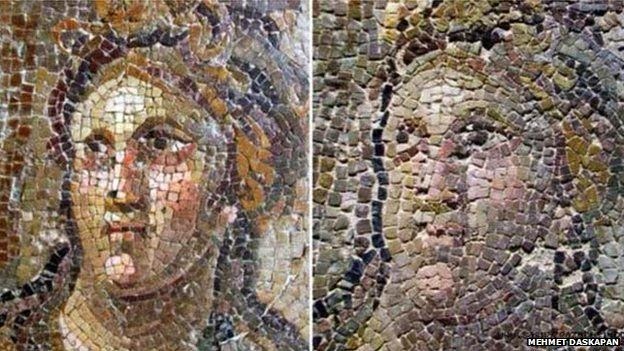 Above, Figs 1 and 2: Before restoration (left) and after (right) photographs by Mr Daskapan testify to devastating iconographic, pictorial and plastic injuries during supposed “conservation” treatments of mosaics held in the Hatay Archaeological Museum in Turkey. Above, Figs. 3, 4 and 5: The above STR/EPA photographs all testify to simultaneous enfeeblement and vulgarisation. 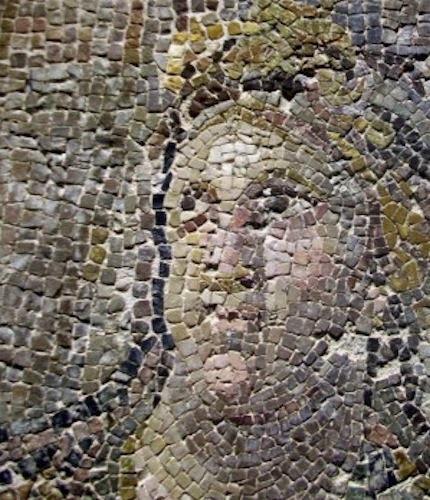 This below is not a “restoration” or a “conservation”, it is precisely what Mr Daskapan has claimed it to be: the travestying and rendering inauthentic of an ancient classical image. When horrendous things are done to art in the name of its “conservation” people struggle – vainly – to divine a possible motivating rationale. 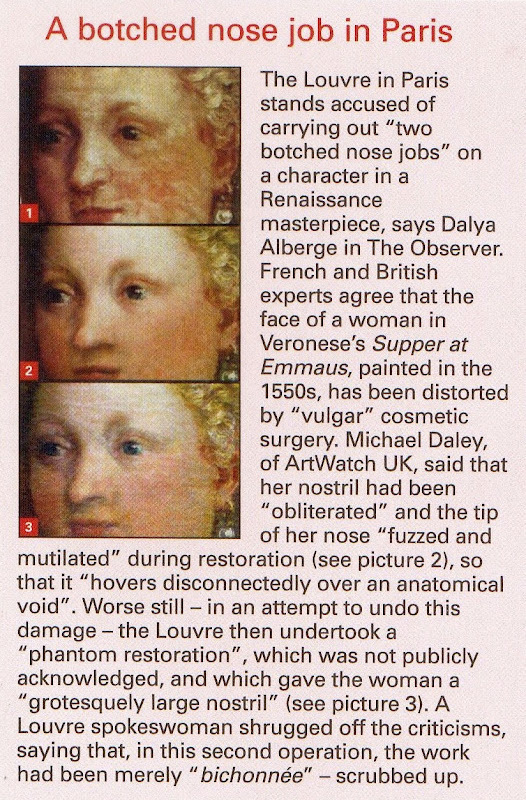 In the face of inexplicable actions, truly awful restoration abuses frequently provoke/generate humour. 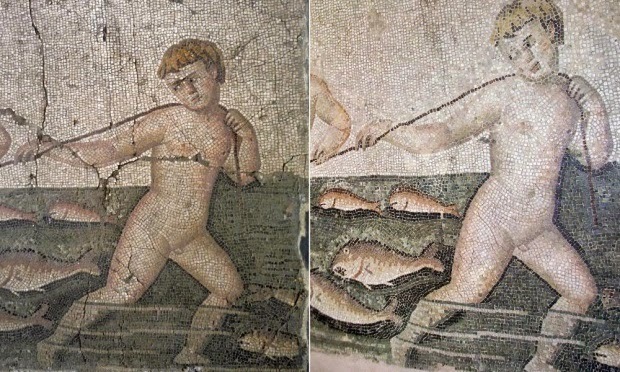 In Turkey, The Hurriyet Daily News reports that the botched restoration has indeed become a matter of humour: “Perhaps, the restoration’s target was to liken him to Erdoğan [President Recep Tayyip Erdoğan – see Fig. 7b below],” joked famous cartoonist Selçuk Erdem, from the weekly magazine Penguen.” The Huffington Post fleshes out the joke with the photo sequence below. Doing so in Turkey might carry a risk. As the The Hurriyet Daily News adds, two other cartoonists at Penguen, Bahadır Baruter and Özer Aydoğan, were jailed for 11 months in March over a satirical piece on free speech in which they were convicted of including a hidden gesture that was considered to be “insulting” to the Turkish president, Recep Tayyip Erdoğan. Above, top, Fig. 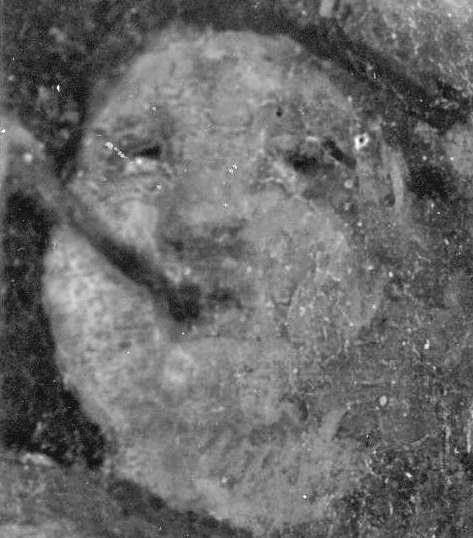 8: This shows the head of Christ before (left and centre) and after (right) restoration. Above, Fig. 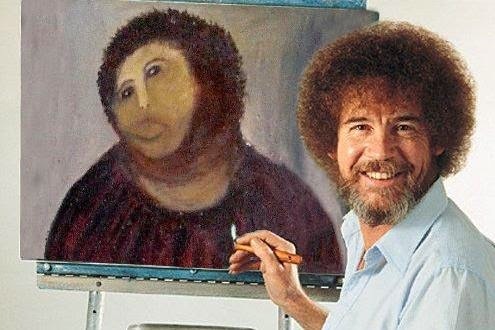 9: One of many spoofs carried on Upi.com was this of the late TV painting instructor Bob Ross. Above, Fig. 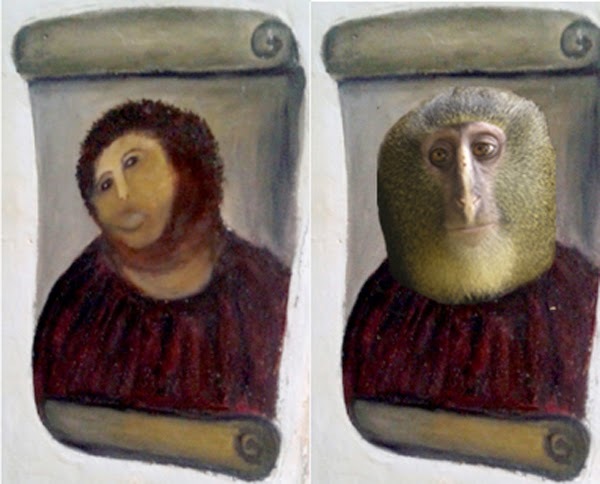 10: A satirical news blog (pocho.com) saw a resemblance between Cecilia Giménez’s monkey-faced Christ and a newly discovered species of monkey…The Church has left the desecration of a sacred image in place. “Did bungling curators snap off Tut’s beard last year, and if so was it stuck back on with with the wrong kind of glue? Although this gaffe caught the western world’s imagination (because of intense abiding interest in ancient Egyptian culture), the incident was of relatively trivial significance: neither the beard nor the head were damaged. When it emerged that “a few little conservation things had to be done” to Assyrian carvings from the Nimrud Palace after the British Museum had irresponsibly flown them to China, the international press looked the other way. 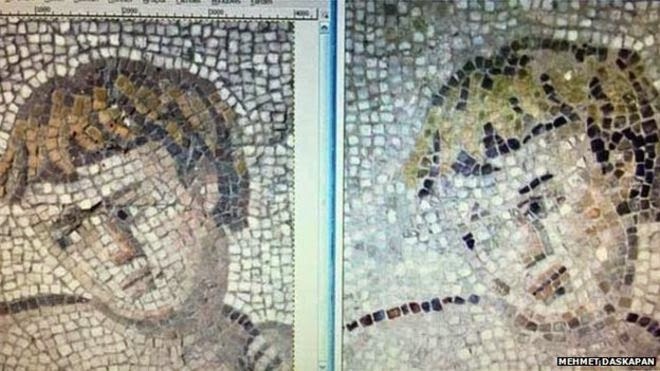 One of the greatest all-time serial offenders as pioneer in technically advanced but artistically destructive “total cleaning” techniqes has been the National Gallery, London. For an account of the falsifying art historical consequences of such aggressively intrusive restorations, see The National Gallery’s £1.5 billion Leonardo Restoration. Above, Figs. 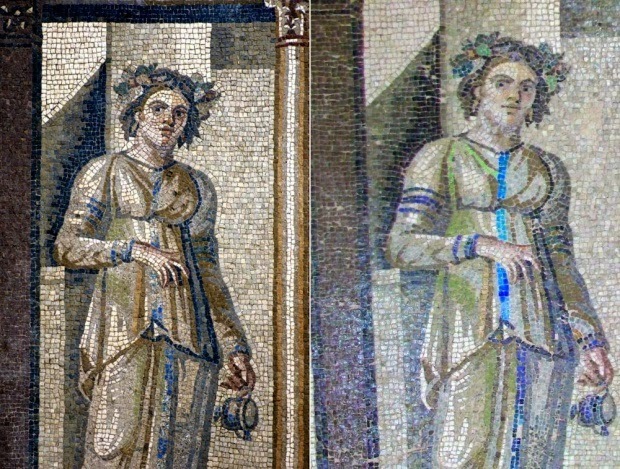 11 and 12: A detail of the National Gallery’s Titian Bacchus and Ariadne, shown (top) before restoration by Arthur Lucas in 1967-69, and (above) after restoration. Notwithstanding such dreadful injuries throughout the painting, the restoration was hailed a triumph and the restorer took to boasting to painting students at the Slade School of Art, London University, (where he taught painting techniques) that there was “more of me than Titian in that sky”. One of Lucas’s “advanced” technical wheezes (which was concealed from the trustees and the public) was to iron the canvas painting onto a double laminate (‘Sundeala’) board of compressed-paper. Such boards were used on many of the gallery’s largest paintings and have now become unstable. Above, Fig. 13: Titian’s Portrait of a Man (detail) at the National Gallery, before being restored by Arthur Lucas (left) and after restoration (right). As part of his preparation for repainting the subject’s head, Lucas hired a bearded student at the Slade School of Art to model for certain “preparatory” studies that he wished to make of hair and beards. Above, top, Fig. 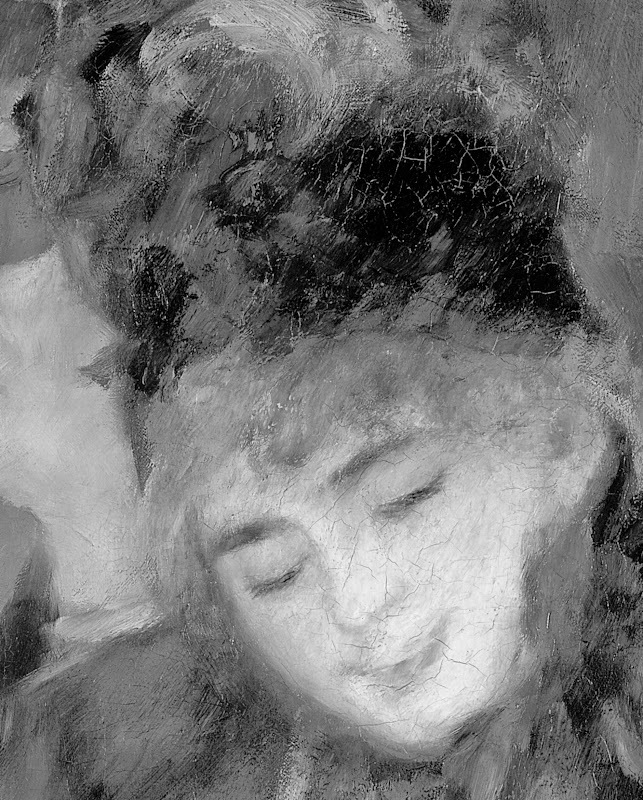 14: A detail from the National Gallery’s Renoir The Umbrellas before cleaning in 1954. Above, Fig. 15: The detail from the National Gallery’s Renoir The Umbrellas after cleaning in 1954, showing pronounced solvent-induced paint losses and new cracking when the picture was barely seventy years old. 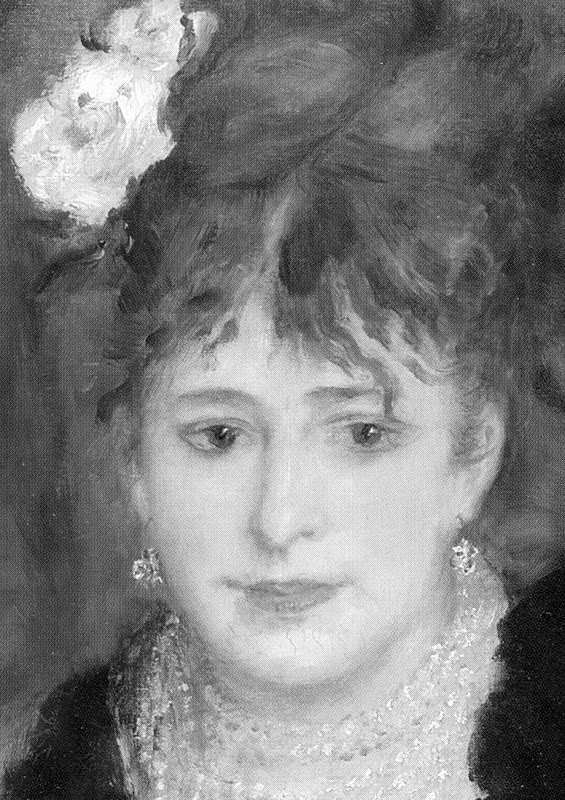 That Renoir is exceptionally vulnerable to solvent-cleaning can also be seen in this example below from Courtauld Gallery, London. Above, Figs. 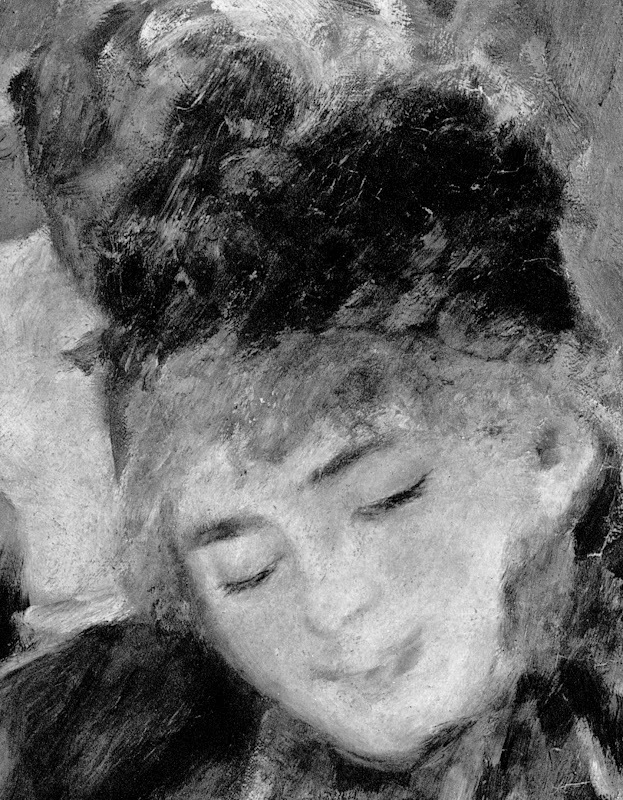 16 and 17: A detail of Renoir’s La Loge, as seen (top) in 1938, and as seen in the Courtauld Gallery’s 2008 exhibition catalogue “Renoir at the Theatre – Looking at La Loge“. Above, Figs. 18 and 19: The devastating falsification/obliteration of ancient temple murals in China. 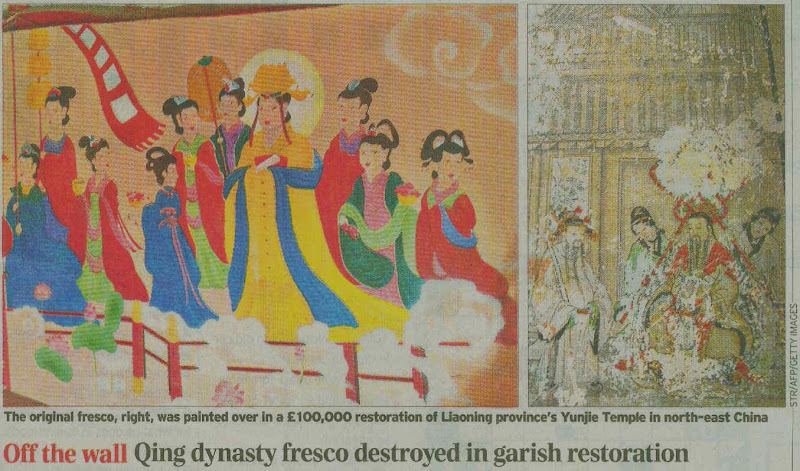 See Qing dynasty fresco ruined in botched restoration which makes work look like garish cartoon; and China sackings over ruined ancient Buddhist frescos; and, A restoration project that turned a Qing dynasty fresco into a series of “sloppily drawn” modern paintings has drawn outrage in China; and Assaults on History: Dishing Donors; a Vatican Wobble; and, Reigniting an Old Battle of Hearts, Minds, Interests and Evidence. Below, Fig. 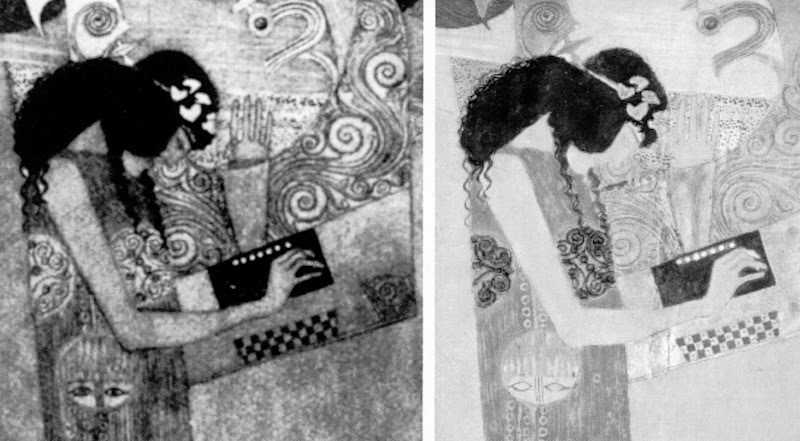 20: A detail of Gustav Klimt’s Beethoven Frieze (the figure Poetry), as seen before 1956 (left) and today (right), as featured on the cover of the Spring 2008 issue of the ArtWatch UK Journal. 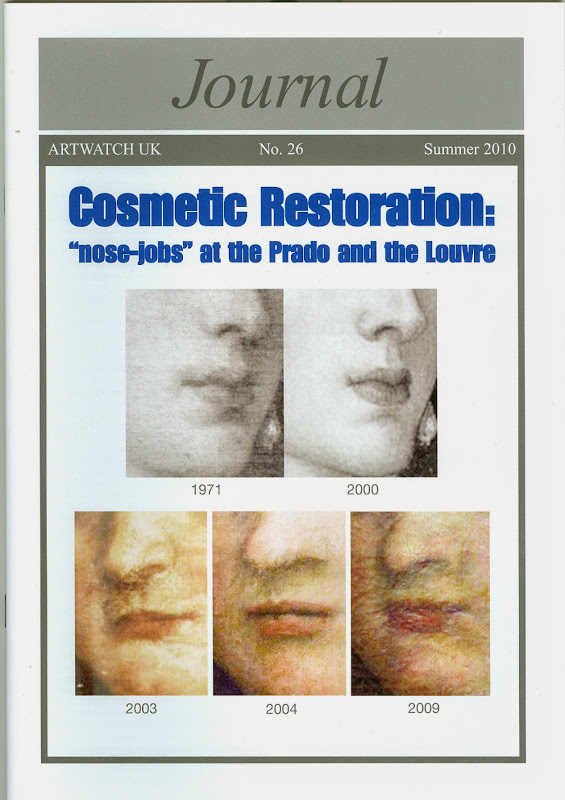 4) Press coverage (in The Week) of the controversy over the two botched repaintings of the Veronese face that had been monitored and disclosed by Michel Favre-Felix, the painter and president of the Association Internationale pour le Respect de l’Intégrité du Patrimoine Artistique (ARIPA). Favre-Felix’s discoveries had been laid out here on 29 December 2010. 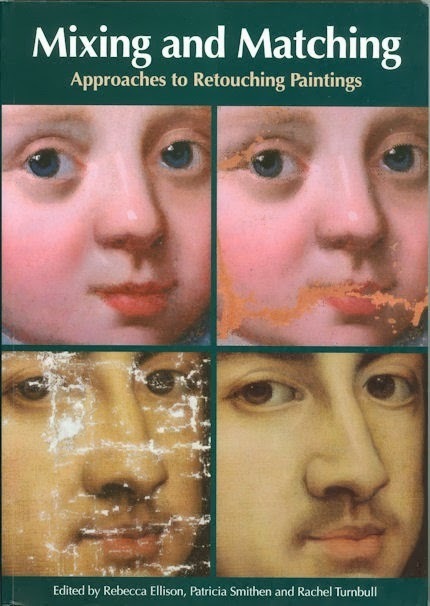 On the absence of artistic expertise among conservator-restorers, see Review: Who Cleaned the Queen’s Windows and the Lady’s Pearls? The most controversial restoration in modern times has been that of Michelangelo’s frescoes for the Sistine Chapel, a subject on which we have published many times. In addition to the restoration injuries, the fame of the restored frescoes has drawn (paying) crowds to the chapel of such magnitude as to imperil the physical fabric of the frescoes. For a summary listing of our previous coverage on all aspects of that continuing debacle, see Michelangelo’s disintegrating frescoes. Above, Figs. 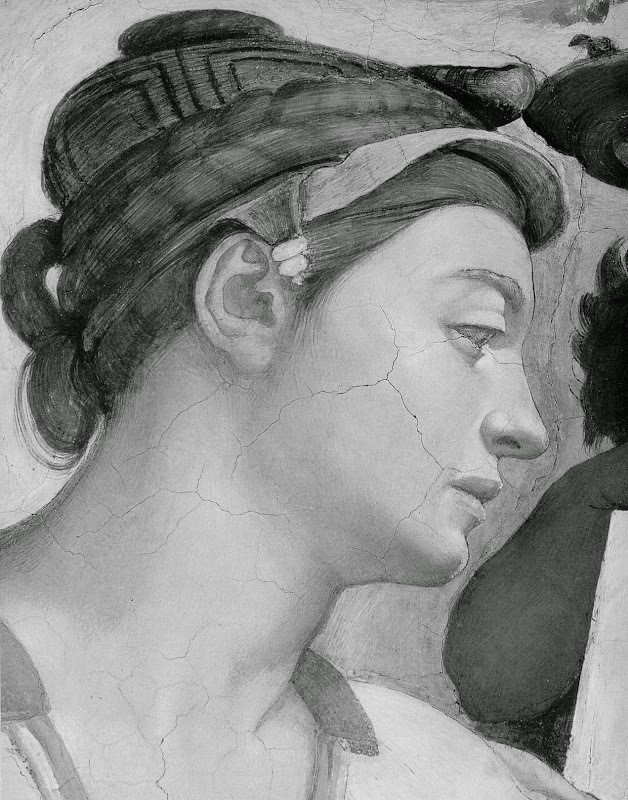 25 and 26: Details of Michelangelo’s Cumaean Sibyl on the Sistine Chapel ceiling, as seen before restoration (top), and after restoration (above). The explanation for the otherwise inexplicably profound changes that occurred during this cleaning, is that Michelangelo had finished off and elaborated his frescoes (when dry) with painting consisting of pigments bound in animal glue or size. With this painting Michelangelo adjusted and enriched his colours while, at the same time, greatly increasing their dramatic lighting and shading. (The revolutionary nature of this theatrical lighting is explored in this post: Coming to Life: Frankenweenie – A Black and White Michelangelo for Our Times.) However, on the authority of technical analysis of the glue-paint, the Vatican treated all of this surface painting by Michelangelo as if it were dirt and soot and washed it off. 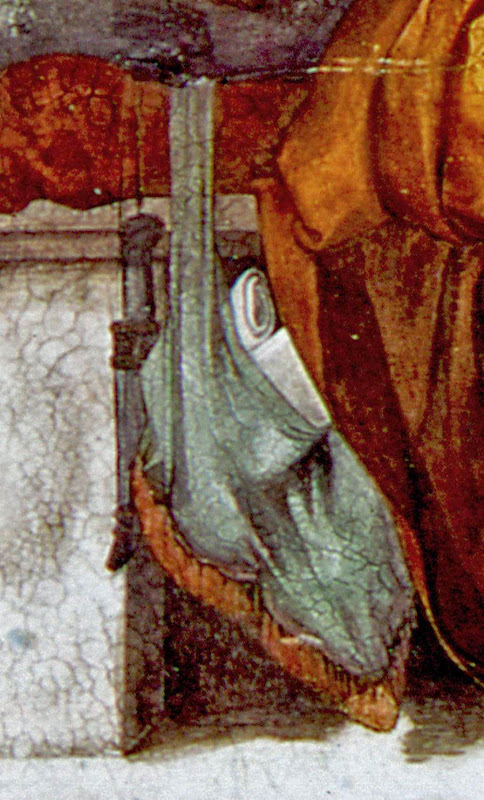 In this comparative detail above, the loss of shading on the bag and around it is immense. Above, Figs. 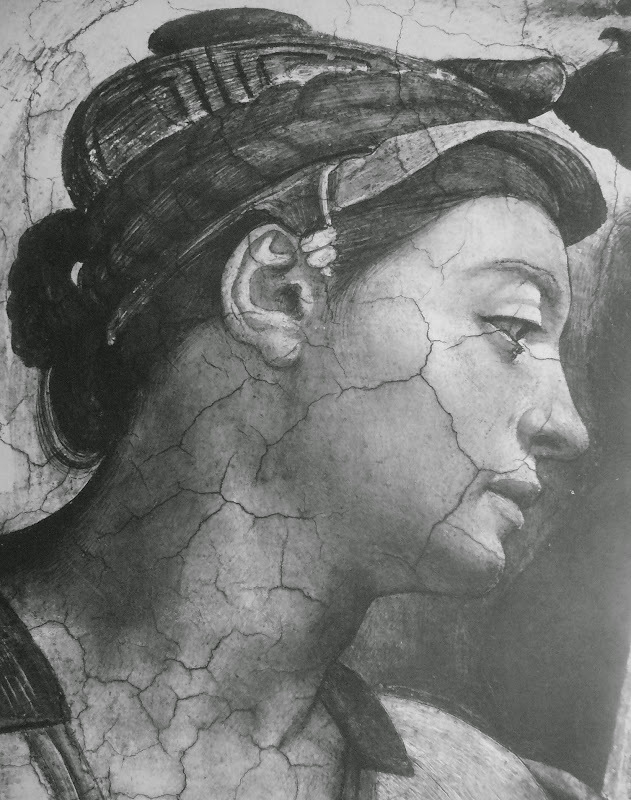 27 and 28: The head of Michelangelo’s Erythraean Sibyl on the Sistine Chapel ceiling, before restoration (top) when showing Michelangelo’s systematic and consistent modelling of forms via a transition from light to dark from the top of the head to the neck and shoulder, as it had survived from 1512 until 1980; and (above), after the restoration in which all of Michelangelo’s supplementary painting had been removed. Just twenty-one years later in 1975 a former student of the previous restorer reported falling fragments of paint. Two years later another (and $8m Olivetti-sponsored) restoration began with the express intention of undoing every trace of all previous restorations. In entirely predictable consequence, vast areas of bare, pictorially disfiguring wall were exposed. To return a semblance of iconographic coherence and legibility to the by-then devastated sacred images, the restorer colourised all of the exposed wall (which constituted most of the mural), not in any semblance of Leonardo’s original pictorial method, but flatly, “abstractly” with water-colours that took their values from the local colours (but not the forms) of adjacent areas. This technique, therefore, imposed an entirely alien and ahistorical modernist sensibility on the remains of a once-supreme Renaissance evocation of real figures, in action, in real spaces. The operation thereby constituted an artistic misrepresentation and a cultural falsification: once-living theatre was effectively pulled onto a decorated backdrop. Aside from the conceptual unaptness of the enterprise, the restorer made errors – or took liberties – within her own terms of operation. (See below.) This was not a restoration and nor was it a recovery. Moreover, as an imposition of a markedly 20th-century sensibility and mindset, it will “date” rapidly and therefore licence those who will next wish to intervene on a world renowned work. Above, Figs. 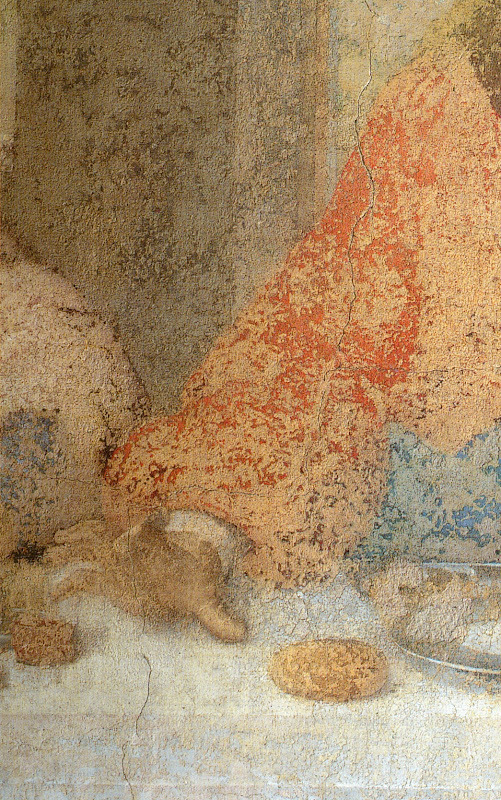 29, 30 and 31: The central section of the Last Supper is here shown (top) before the last restoration; during restoration (middle); and (above) after restoration and repainting. 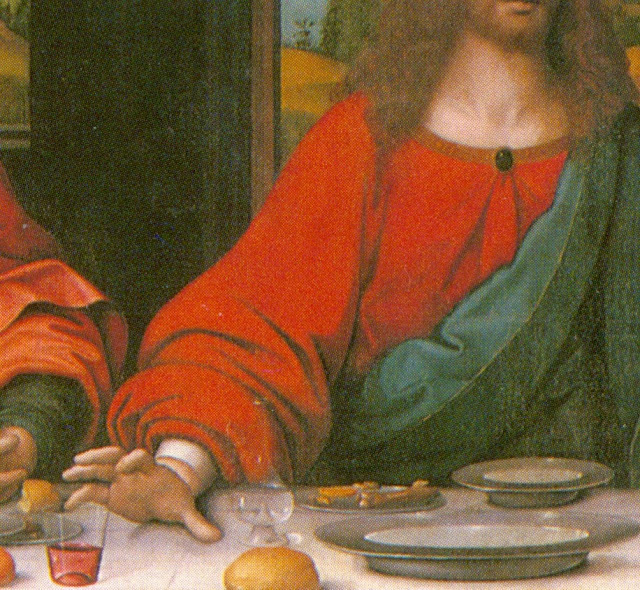 One error made at the repainting stage was to the central figure – Christ. 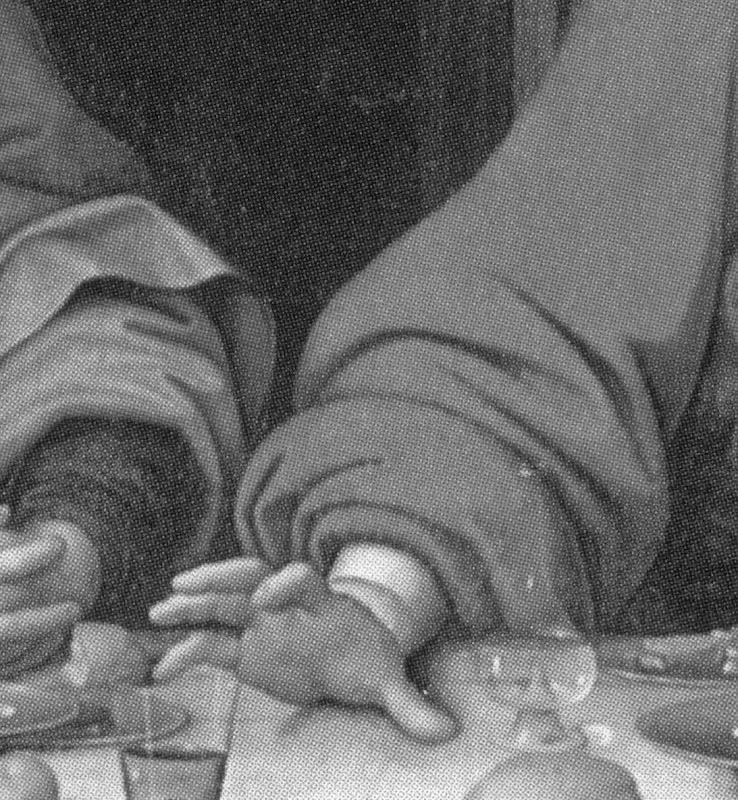 Leaving aside what happened to His Face, the restorer decided against all historical testimony (see below) that Leonardo had painted the drapery of Christ’s right arm so that it came to rest on the table cloth among the food and crockery. When our challenge to the decision was reported in the press, Professor Pietro Marani, the Leonardo expert who directed the Last Supper restoration, sarcastically downplayed the criticism – “A small piece of drapery. 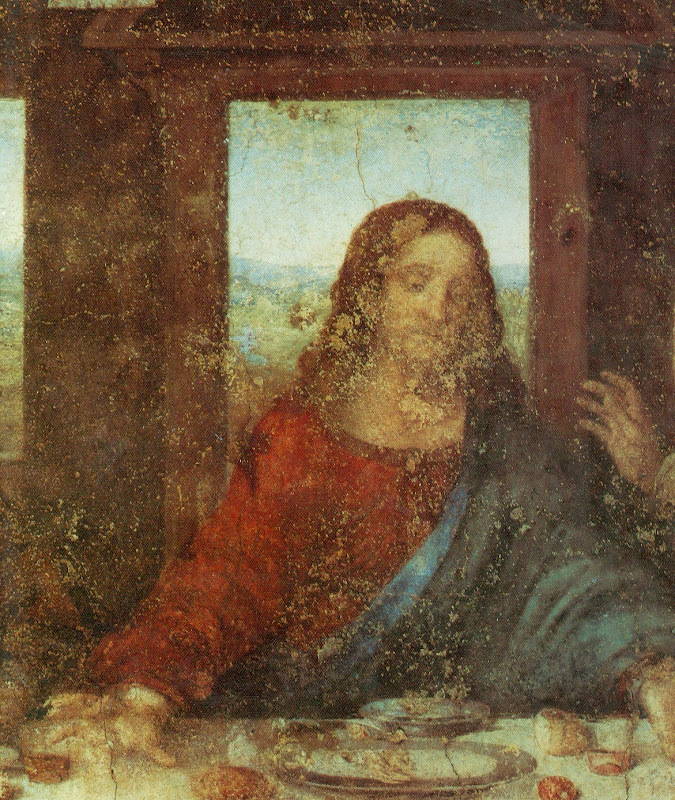 Oh, my God.” (See Have art restorers ruined Leonardo’s masterpiece?). 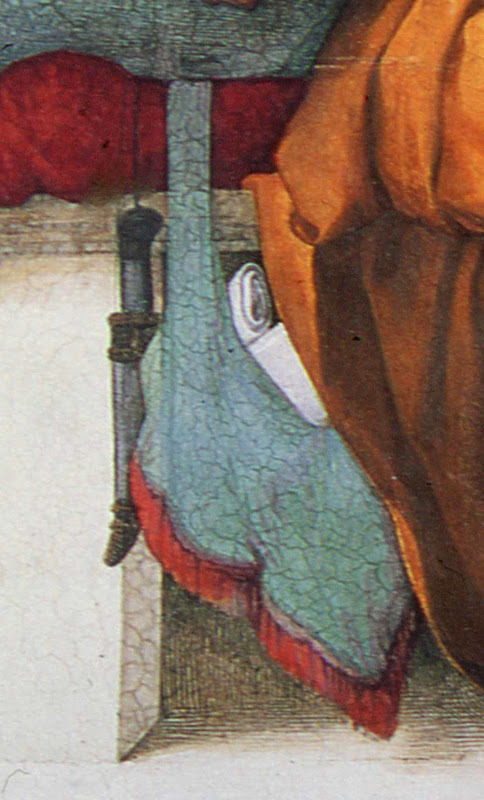 It might have seemed a small error to the director of the restoration, but it has left drapery in place that Leonardo had not painted. How seriously, then, should we take assurances about the high “ethical” standards of today’s restorers? Above, Figs. 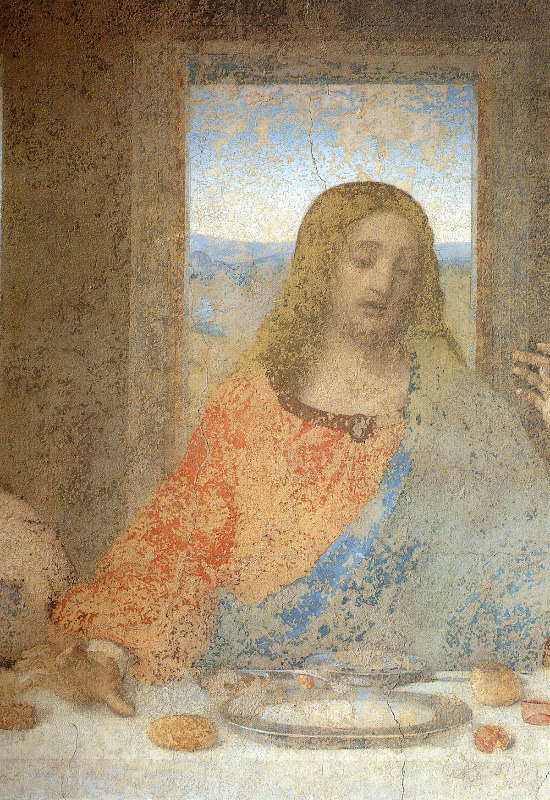 32, 33, 34 and 35: Details showing (top) the restored [sic] drapery of Christ’s right arm and, below it, two copies of the original arm, as painted by Leonardo’s associates Andrea Solario and Giampietrino (whose copy is shown above in colour and in greyscale). 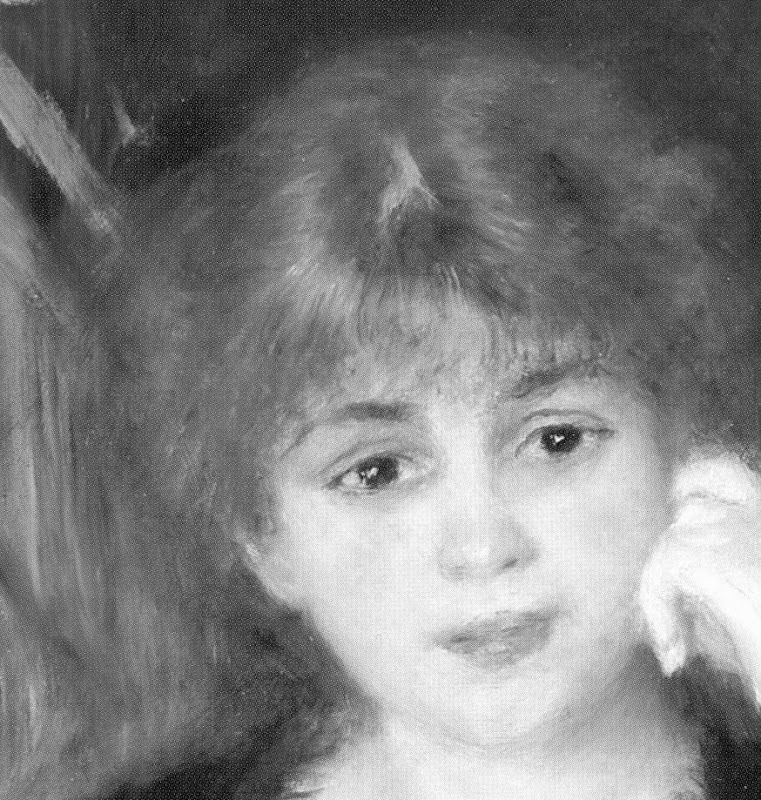 Sterling Clark’s greatest love was for Renoir – he owned thirty-eight of his paintings, including the once magnificent A Box at the Theater (At the Concert) shown in two details below. Sterling died first in 1956 and his widow Francine died in 1960. 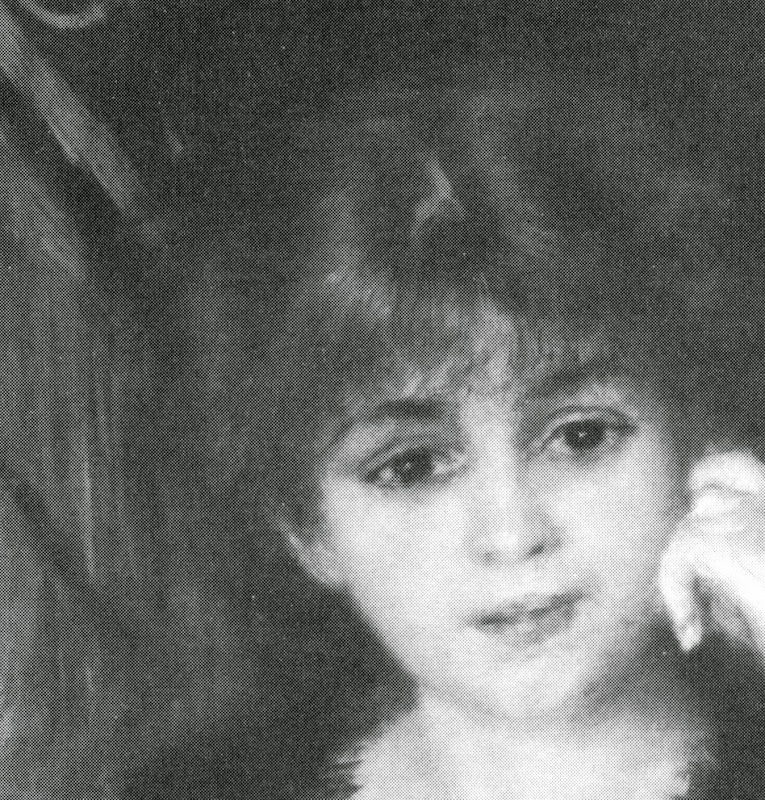 Within three years of her death, pictures from the collection were being “restored” and (some) sold in breach of the terms of their generous bequest. The consequences were as horrendous as the deeds treacherous. On Francine Clark’s death the first of what were to be two radical and utterly deranging restorations of Turner’s Rockets and Blue Lights (Close at Hand) to Warn Steamboats of Shoal Water was under way at the hands of a then leading restorer, William Suhr (below, Fig. 38) after which only traces of the nearer steamboat survived. Above, Fig. 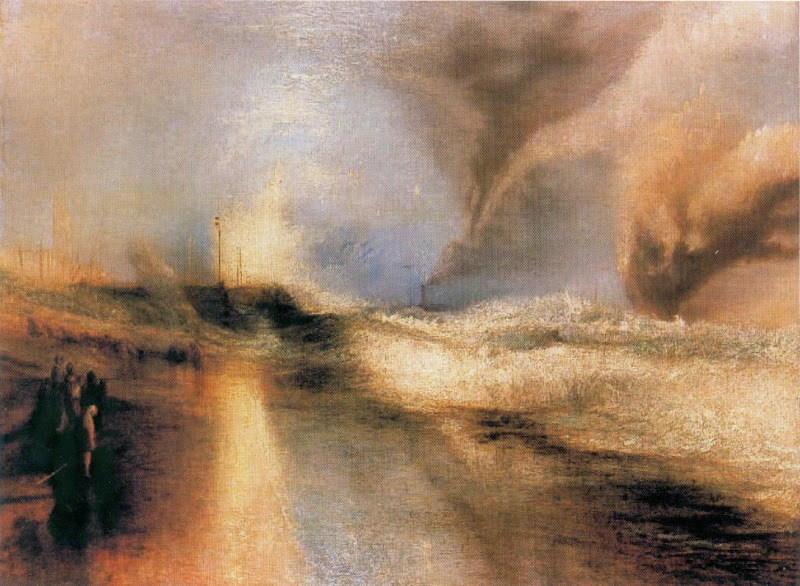 39: Turner’s Rockets and Blue Lights… after its 2003 restoration by David Bull during which the last traces of the nearer steamboat were removed. For every restoration there is an apologia. 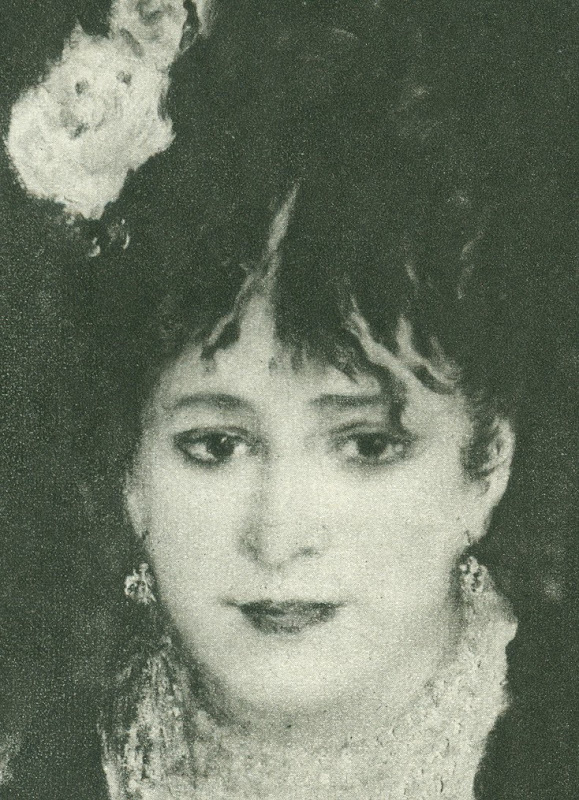 With this picture’s second restoration in forty years (which restoration, once again, preceded a loan across the Atlantic) the story went like this: The painting had been falling apart; and, besides, seventy-five per cent of it consisted of earlier restorers’ repaint which had been applied to “disguise the evidence of some unknown earlier trauma”. Only by removing most of the present paint, could “a full understanding of what lay beneath” be achieved. After the removal – on the authority of the Clark Institute’s trustees – all parties responsible proclaimed a “resurrection” which had created “effectively a new picture”. Brass cheek does not come bolder than that. This was indeed a new picture, no longer a Turner, more a Suhr-Bull. For one thing, one of the picture’s two original storm distressed coal-burning steamboats had disappeared under the waves with its former belching smoke converted nicely into a white water funnel. When our criticisms (initiated by the painter Edmund Rucinski) were first aired, a feeble, soon-abandoned, claim was made to the effect that the disappeared steamboat had been a 19th century restorer’s addition – another brazen defiance of reality given that the picture’s original title refered to boats, not boat, in distress. The evidence of there having indeed been an original second boat was overwhelming (see below) but there was no apology. Instead, the entire museum establishment, as if in complete solidarity with the Clark Institute (which lends loads of paintings), bigged-up the official line that this was somehow-still-a-Turner by proclaiming that the manifestly wrecked work had now become an especially desirable Turner. By this point the museum establishment had, in truth, passed beyond all reason. The wreck was not just billed as a star of the show, it was flaunted in every advertisement, publication cover, billboard and online marketing venue – see From Veronese to Turner, Celebrating Restoration-Wrecked Pictures. The message to critics seemed Clinton-esque: “We do it, because we can”. Above, (top) Fig. 40: Detail of an 1852 (14 stages) chromolithographic copy by Robert Carrick of Turner’s 1840 oil painting Rockets and Blue Lights (Close at Hand) to Warn Steamboats of Shoal Water. Note particularly the detailed depiction of the distressed steamboat and crew members on the right. Above, (centre) Fig. 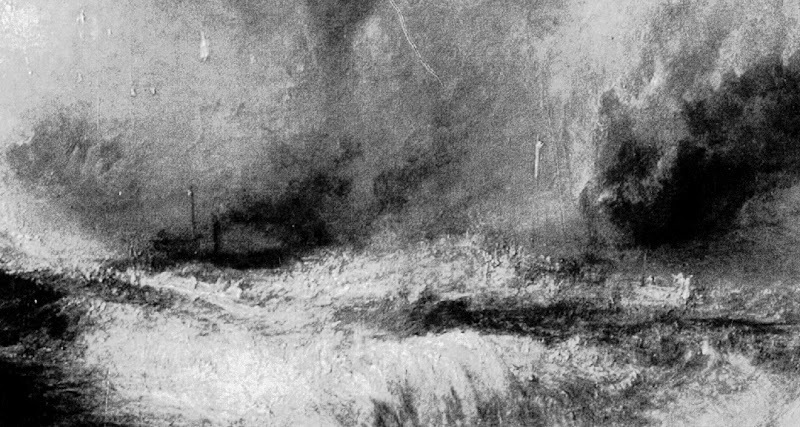 41: The steamboat as recorded in a photograph of 1896 (shown by courtesy of Christie’s). Above, Fig. 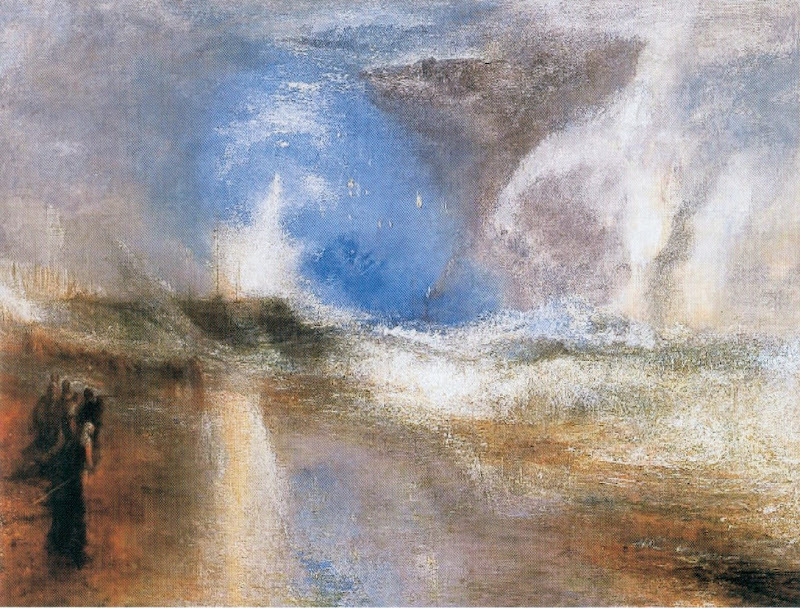 41: Turner’s Rockets and Blue Lights… (detail) after its 2003 restoration by David Bull when the last traces of the nearer steamboat had been removed and the painting was fast approaching the appearance of a 20th-century abstract painting. We knew at a glance that something was amiss. 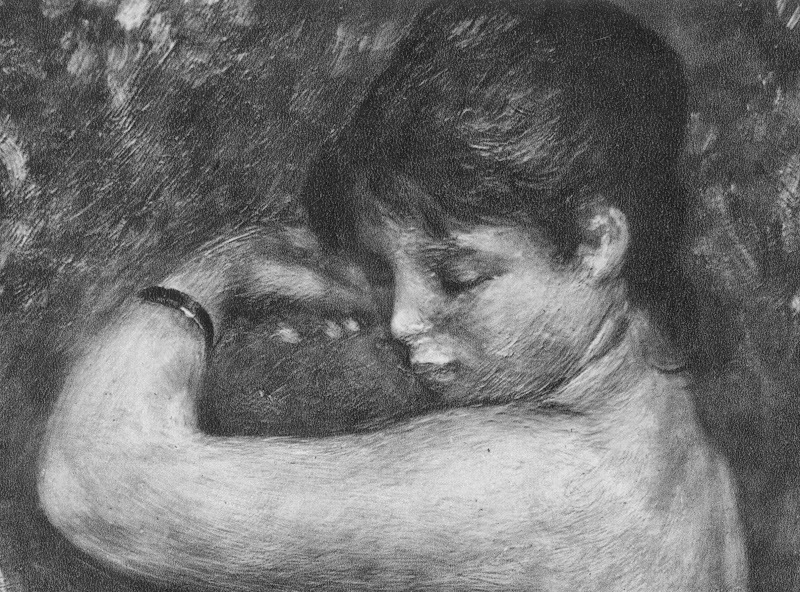 On 16 June 2012, a newspaper photograph trailed an imminent auction sale of Renoir’s Baigneuse of 1888. 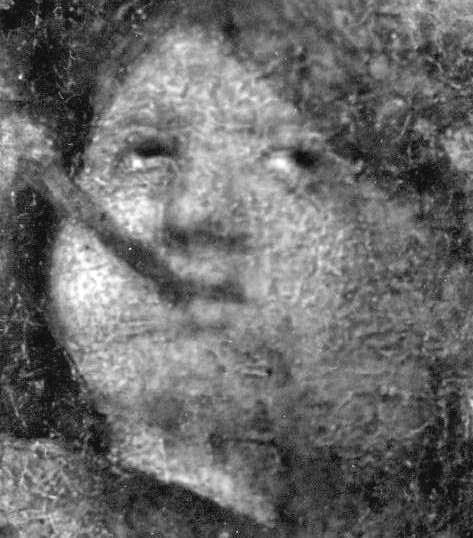 Even on the evidence of a single de-saturated newsprint reproduction it seemed clear that the privately owned masterpiece had gone through the picture restoration wash cycle a time (or two) too often. 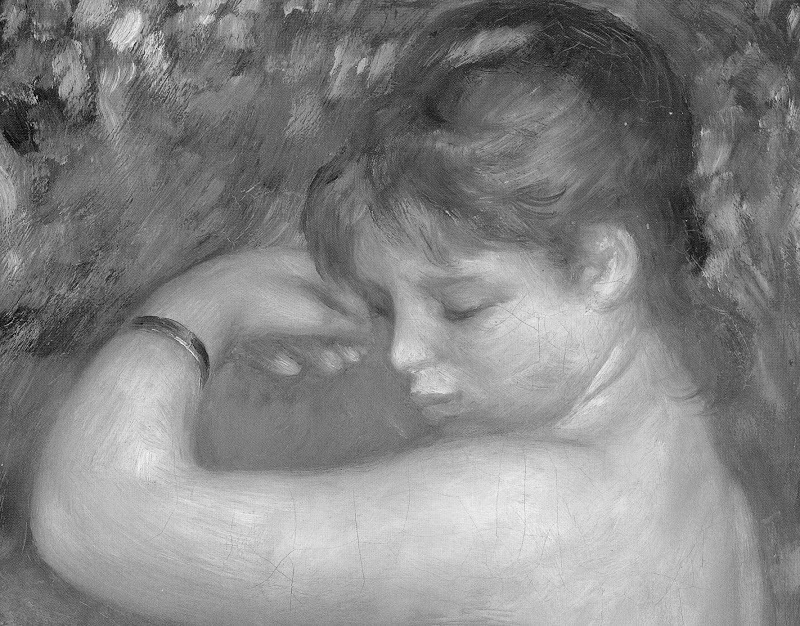 Renoir’s Baigneuse had been given star billing (on a £12/18m estimate) at Christie’s June 20th Impressionist/Modern sale. 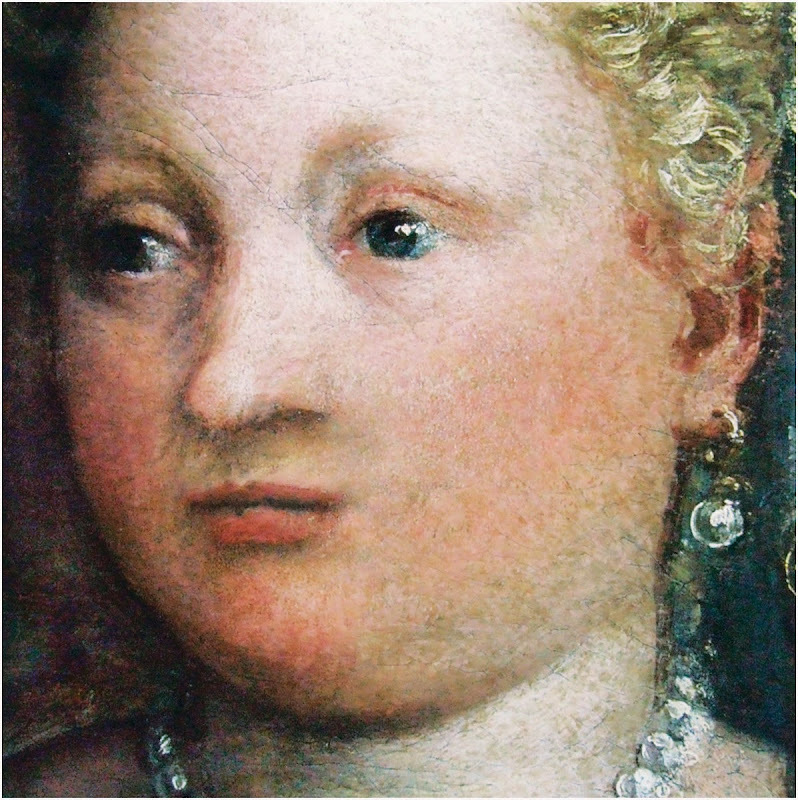 While much was made in the eight pages long catalogue entry of an impeccable and unbroken provenance through ten successive owners, not a word was said about any restorations of the painting, and although many early photographs were identified in the picture’s literature, none was reproduced. 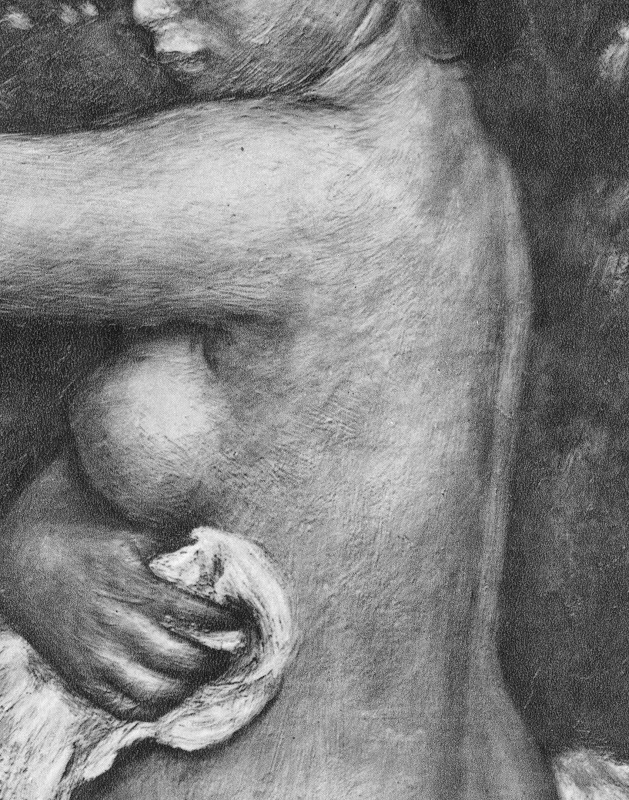 It was disclosed that the Renoir was to be included in a forthcoming “catalogue critique” of the artist’s work being prepared by the Wildenstein Institute from the Archives of François Daulte, Durand-Ruel, Venturi, Vollard and Wildenstein. On the night of the sale, an announcement that the picture had been withdrawn drew gasps of surprise. Artinfo reported that the vendor had accepted a private offer from an unidentified buyer for an undisclosed sum somewhere within the estimate. Trade and press eyebrows have been raised at such secretive, pre-auction sales and the withdrawal was the more confounding because expectations of a big auction house “event” had been raised by extensive – and quite stunningly fetching – pre-sale press coverage with photographs of the painting enlivened by the seemingly routine inclusion of beautiful young female staff members. We wondered whether the present condition of the picture might have contributed to the withdrawal. Without any knowledge of by whom the picture is owned, or by whom and how often it might have been restored, we are content to leave the photo-evidence of condition to speak, as it properly should, for itself. The three then and now pairs of photographic details below (Figs. 42-47) are drawn respectively from Michel Drucker’s 1944 “Renoir” and the 2012 Christie’s “Impressionist/Modern” sale catalogue cover. Michael Daley – 8 May 2015.